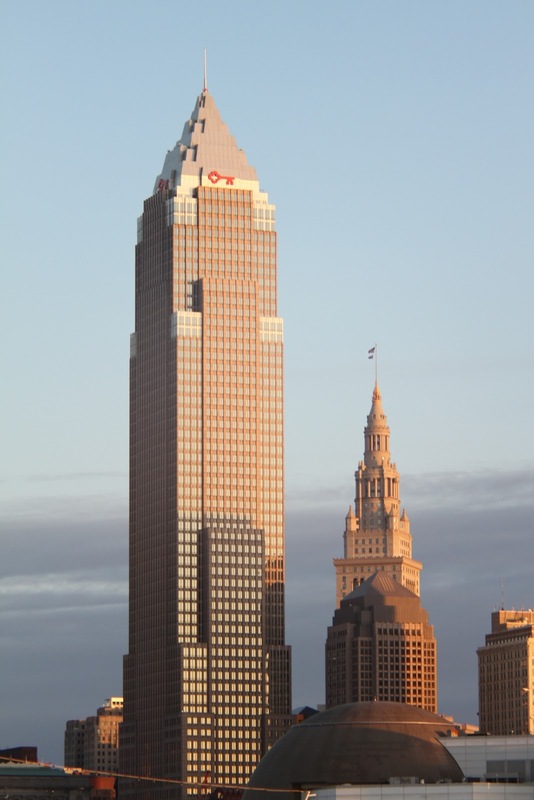 Standing 57 stories and 947 feet high, Key Tower is the tallest building in Ohio. It surpassed Terminal Tower, which measures 708 feet tall, in 1990 and its construction was officially completed in 1991. It is a postmodern skyscraper with a composite structure and a granite and gray curtain wall façade. The building is located at 127 Public Square in Cleveland. Formerly known as Society Center, Key Tower contains 1.5 million square feet of office space. It was developed by the Richard E. Jacobs Group and is owned by Wells Real Estate Funds. The building is used primarily as Key Bank’s headquarters. It is connected to Marriott at Key Center, which was built along with the tower, and to the pre existing Society for Savings Building. Each of the four Key Bank logos on the sides of the building is 15 feet long and weighs 1,500 pounds. Click here to see the full list of the tallest building in each of the 50 states.